Since opening in 2013, Islington Village has continuously joined efforts to raise funds, and engage with the community. 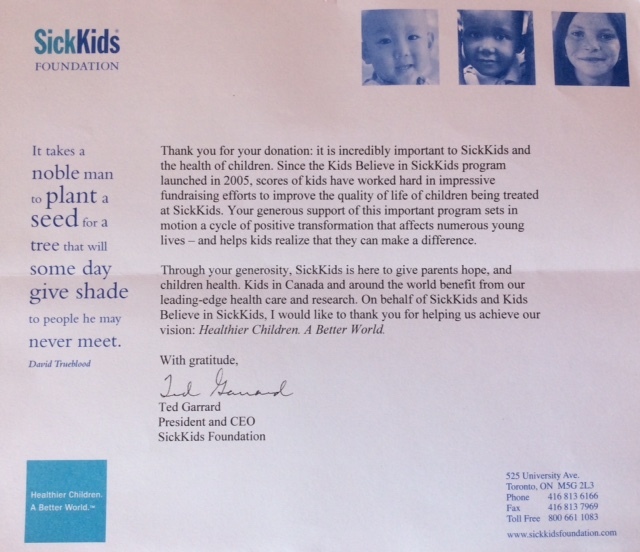 Children, families as well as staff have, over the years, fundraised for organizations such as WomenAide, ALS Canada, SickKids Hospital, as well as The Geneva Centre for Autism. 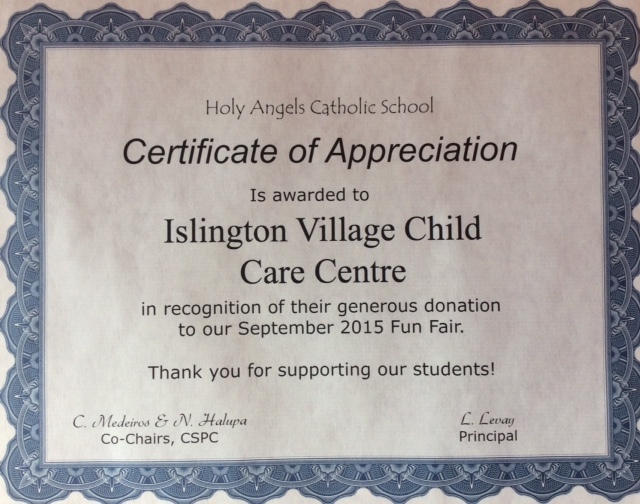 Take a look at some of Islington Village contributions and efforts. Islington Village Child Care Centre Director Julia Meffe, Santa Claus and Meghan from Covenant House Toronto. During two weeks in November of 2016, Islington Village staff and families fudraised by selling Kernels popcorn, in order to benefit The George Hull Centre for Children and Families. The fundraiser was a great success as Islington Village raised $1500 for the cause. The proceed cheque was presented during Islington Village's annual Breakfast with Santa on Saturday December 10 2016.
visit http://www.georgehullcentre.on.ca/ to learn about services and resources provided by The George Hull Centre for Children and Families.